Police have released a picture of the jacket worn by the man whose body was recovered from Butterley Reservoir, in Marsden, on Friday. Officers hope the image of the Trespass jacket, which is blue with red shoulders and detailing, will help them trace the man's next-of-kin. Detectives said their "enquiries remain ongoing" as they are still "yet to identify the man". “The man’s death is not being treated as suspicious, but we are continuing to ask for the public’s help in identifying him and I would ask for anyone with information to contact us. Anyone with information should contact Kirklees CID on 101 (ref: 13190018679). 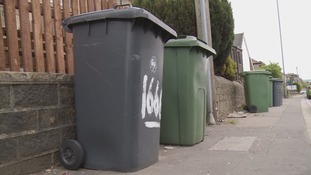 Bin collectors in Kirklees have announced a week long strike in a row over holidays and conditions. Labour has taken control of Kirklees Council for the first time since 1999. A third of 69 seats were contested in yesterday's local elections. Before polling say Labour was the largest party but didn't have enough seats for an outright majority. With counting well underway on Friday morning, Labour secured 36 council seats needed to secure a majority. Liberal Democrat Councillor and Group Leader Nicola Turner lost her seat to Labour. Kirklees Council has outlined plans which would see an 85% increase in the cost of a single burial between next year and 2022. The individuals were arrested from addresses in Huddersfield and Bradford during a three-day policing operation. Daisy, as she's now called, had wandered from her field in the area of Brow Lane at some point overnight and had slipped into the hole. Police appeal for information to trace stolen jewellery after four men were jailed for a series of violent robberies across West Yorkshire. Police in Kirklees have issued an urgent appeal for information to trace two missing 14-year-old girls.